This episode continues this season’s high caliber of storytelling by giving fans the best science fiction (and honestly, the best drama) on television. Reload runs the gamut from visually stunning shots of the Nauvoo being salvaged and maneuvered in space, to the Machiavellian machinations of Errinwright on Earth, to the chilling results of the Protomolecule experiments on Io. Fans are treated to all of this and a lot more. Reload opens with Drummer leading the effort to salvage the Nauvoo. The entire sequence harkens back to the episode Godspeed when Fred Johnson launched the Nauvoo on a collision course to stop Eros. The look and feel of the sequence is different mainly because the Nauvoo is a lifeless shell adrift in space as opposed to the last hope to save Earth from Eros. Also, Fred’s plan is to refit the ship as a warship, which changes its purpose. This adds to the darkness of the scene. If the novels are any indication, the Nauvoo and Drummer will play a key part in later episodes this season. Meanwhile, the Pinus Contorta (Rocinante) is headed toward a debris field of Martian ships to search for any remaining fuel, food, and ammunition. On one of the destroyed Martian ships, they found three survivors. They took the three Martian survivors aboard the Contorta. This rescue of the Martian sailors did not end well after they recovered aboard the Contorta. On Earth, Secretary General Sorrento-Gillis gave a stirring speech intended to stiffen Earth’s resolve for war. Unfortunately, it was not the “one human race” speech written for him by Anna. Errinwright had hijacked the speech. Of course, Anna was furious, as Errinwright had brilliantly outmaneuvered her to manipulate Sorrento-Gillis into a more warlike, Earth-centric stance. She confronted Sorrento-Gillis, quit, and stormed out to return home. But before she could leave, she received a message from space. Avasarala had finally convinced Holden to send the message to Anna, which will reveal Errinwright’s part in starting the war. Unfortunately, while this information may solve one problem, a new one developed on the Contorta. The Martian sailors took Alex hostage and attempted to take over the Contorta. 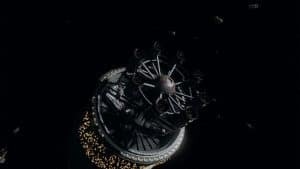 However, they underestimated the resolve and the abilities of the Rocinante crew. Holden disabled one of the sailors before entering the bridge and going into a tense hold-off situation. Bobbie was able to convince the Martian sailor, Loftis (Kelly McCormick), who was holding Alex to release him. This saved them from having a bloodbath aboard the ship. 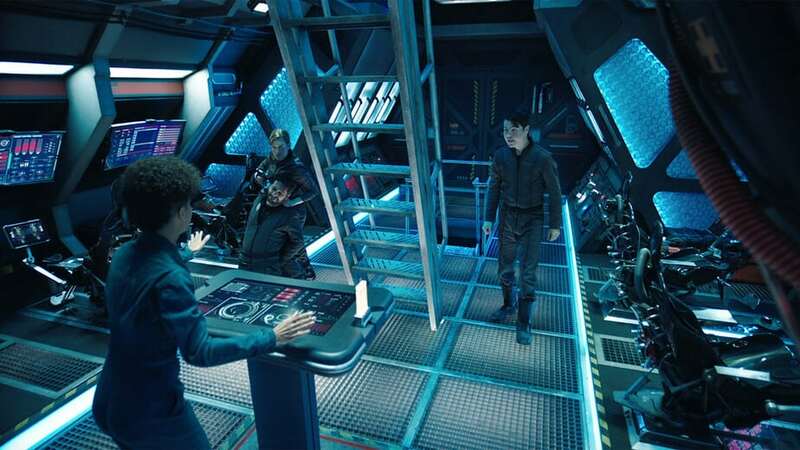 Later, with the help of Holden and Bobbie, Avasarala was able to convince the one reasonable Martian sailor, Sinopoli (Atticus Mitchell), that it is in his best interest to carry a copy of the tape that exposes Errinwright back to the Martian fleet. Avasarala also asked him to have the Martian commander relay this information to Admiral Souther. Sinopoli agreed. He left with his surviving crewmates aboard the partially repaired Martian vessel to return to the Martian fleet. Meanwhile, on Io, Doctor Strickland has been busy. He disobeyed Jules’ order to shut down all of the experiments on the children. He has continued his experimentation on Katoa (Jaeden Noel) with devastating results. 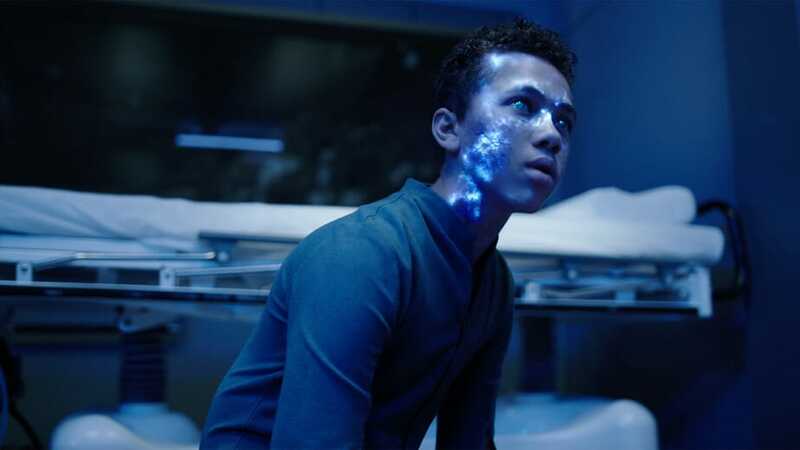 The Protomolecule’s takeover of Katoa has progressed to the point where Katoa is able to see the inner workings of the human body as energy. This ability is a foreshadowing of events in PersepolisRising. Jules Mao discovered Doctor Strickland’s duplicity when he followed Mei to Katoa’s holding cell. When Strickland unlocked the lab, they discovered a horrible, sickening sight. Katoa had been taken over by the Protomolecule. In the lab, Katoa dissected the body of the technician overseeing his experimentation and reassembled the bloody body on the floor. Katoa’s speech patterns and words clearly indicated that the Protomolecule was communicating through him. Instead of being horrified by the sight of the body parts being laid out on the floor, Jules was excited by the revelation that Katoa was somehow communicating with the Protomolecule on Venus. Jules, the caring parent, is gone and Jules, the ruthless businessman, has returned. All of the pieces are coming together in this intricate puzzle of Earth, Mars, the Belt, and the Protomolecule. One saying which comes to mind when watching this episode is “the truth will set you free.” Will the truth set Sorrento-Gillis and Earth free from Erringwright’s lies and machinations? Will the Martians and Souther be able to do anything with the truth if it reaches them? What is the ultimate truth of the Protomolecule? Hopefully, the next few episodes will answer some of these questions. 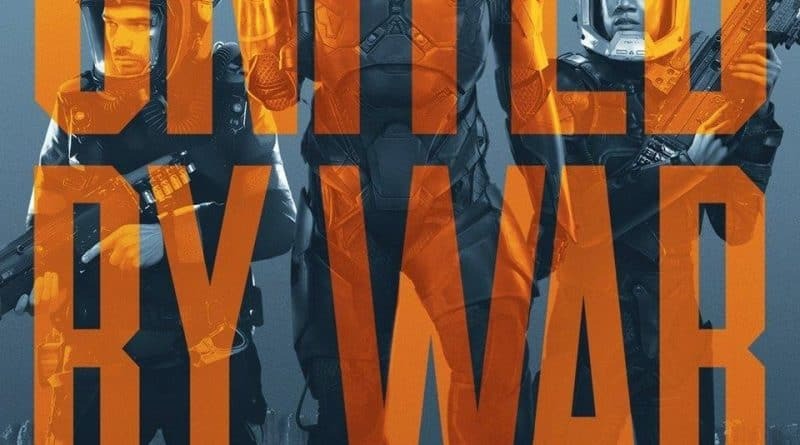 Are you watching The Expanse? Click here to join the conversation on the FoCC forum.